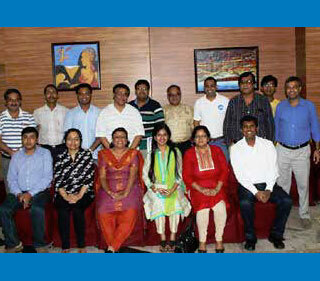 PMI Pune-Deccan India Chapter conducted its 140th monthly seminar on August 20 at Patrakar Bhavan, Pune. 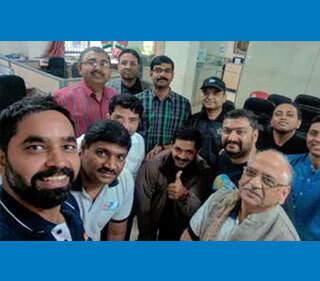 There was a session on "Innovation and Project management: Linked to A Guide to the Project Management Body of Knowledge (PMBOK® Guide)" by Jay Dholakia, advisor to PMI Pune-Deccan India Chapter. 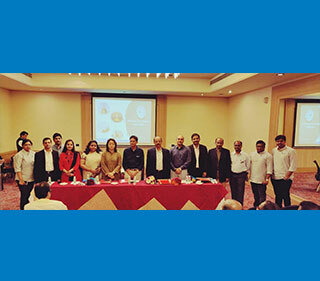 This was followed by a talk by Ramesh Pattnaik, vice president - development, on the PMI Agile Certified Practitioner (PMI-ACP)® certification and an open house discussion on "Lean Project Management" that was hosted by Makarand Hardas, vice president - academics, PMI Pune-Deccan India Chapter. Mr. Dholakia spoke about the need for innovation and how a project manager needs to think innovation from an entrepreneur's perspective to maintain lead, optimize processes, and achieve new missions. 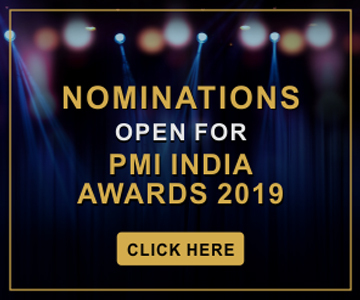 He discussed how the Knowledge Areas from the PMBOK® Guide apply in innovation projects and key success factors for innovation such as leadership commitment, good watch on competition, team, stakeholder management, and customer connect. 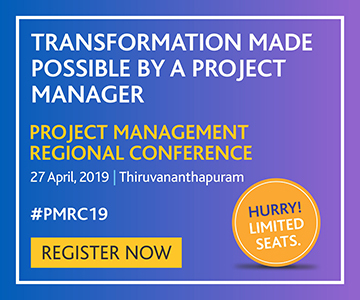 Mr. Hardas shared case studies, statistics, and experiences of lean project management principles and their impact on delivering value with less waste and lower costs. He also discussed "requirement push" and "value pull" strategies to deliver quality aligned to customer's priorities. 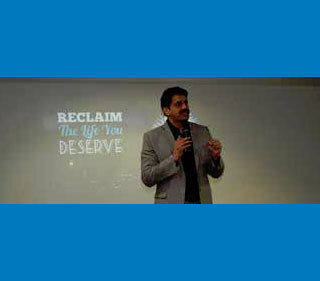 The host for the sessions was Amit Jain, assistant vice president, programs, PMI Pune-Deccan India Chapter. 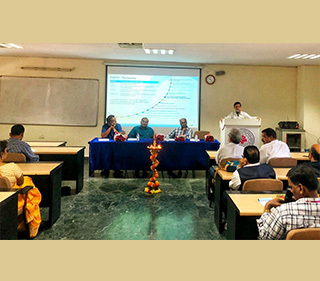 In the third quarterly series of project management symposiums, the chapter organized a session on the way the Internet of Things (IoT) will impact the next generation of products and services. The symposium, held at MCCIA Auditorium on 18 September, received a huge response with tickets being sold out two days ahead of the event. The conference had leaders and senior managers from reputed organizations as speakers and delegates. It made good use of social media platforms and reached out to over 1,800 practitioners across the globe. 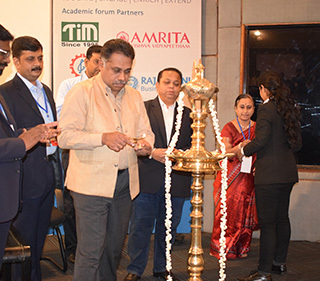 Following a welcome speech by Girish Kadam, president, PMI Pune-Deccan India Chapter, there was a keynote by Kamal Thadani, senior director, PTC. He spoke about drawing a blueprint for futuristic products by adopting IoT. He also spoke about how IoT will touch our lives through not only smart products but also smart operations, manufacturing processes, water and utility supply, travel systems, and farms. Tarang Salgia, chief technology officer, World Compliance Technologies, spoke about the challenges in IoT adoption and how to overcome them. IoT can look great on a piece of paper but it has an entry barrier when it comes to hardware and manufacturing. He spoke about challenges around volume and version obsolescence, over and under supply, packaging, interoperability, among other issues. Manoj Mone, associate vice president, KPIT, threw light on how DevOps can be useful in delivering IoT projects. Humans, he said, were not competing with humans alone but also with technology. He called for a shift in the mindset from "I am not going to do everything" to "Everything here is my problem". In DevOps, the infrastructure manager plays a crucial role in maintaining uptime, the deployment schedule, and managing installation errors. 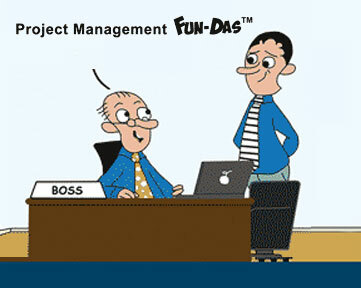 But Dev and Ops need to think alike and share responsibilities. The next topic was "Product as a Service - IoT led new business models," delivered by Amit Teli, independent software consultant, who spoke about using IoT to create sustainable revenue. There was a panel discussion with Sukesh Saxena, senior manager, Tata Communications; Mr. Mone; Kishor Himane, director, PTC; and Vipin Shrotriya, delivery head - Healthcare and Life Sciences, Cybage. They discussed how cloud technologies are helping to reduce the burden on hardware, and how IoT is helping to transform reactive services to the proactive mode to improve customer experience.